New update for a texture pack that is a modification of predefined textures. It doesn’t directly modify the design of the textures of Minecraft, but give them a sense of three-dimensionality. 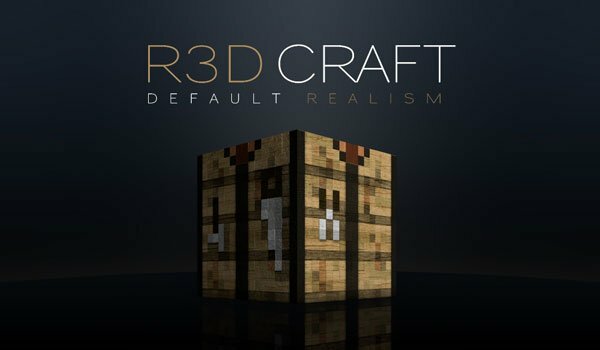 R3D Craft Texture Pack 1.10 and 1.9 offer the same, however, adds shadows and smooth gradients artificial lighting, which give the feeling of 3D, but we’ll need to approach to the textures to appreciate it. Looking for a good balance between resolution and resource consumption in your Minecraft, we bring you the pack with a resolution of 128x. How to install R3D Craft Texture Pack for Minecraft 1.10 and 1.9? Enjoy the sense of three-dimensionality in Minecraft!